This sutra is known as the Vajra Cutter Sutra for its ability to cut off the afflicted obstructions and the subtle obstructions to omniscience, which are as difficult to destroy as the vajra. 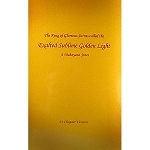 Thus, listening to this blessed sutra recited in Tibetan by Lama Zopa Rinpoche is an opportunity to cut these afflictions that obstruct one’s own enlightenment. The MP3 program includes Lama Zopa Rinpoche's recitation overlaid on music composed and produced by Scott Tusa. 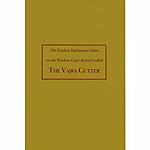 "The Vajra Cutter Sutra is unbelievable," Rinpoche taught in 2006. "It is one of the most profitable practices, because the root of all sufferings, yours and others, is the ignorance holding 'I' as truly existent - even though it is empty of that; and the ignorance holding the aggregates as truly existent, even though they are empty of that. The only antidote to cut that, to get rid of that and through which to achieve liberation, the total cessation of the suffering causes – delusions and karma – is the wisdom realizing emptiness. This is the subject of the Vajra Cutter Sutra, emptiness. So, each time you read it, it leaves such a positive imprint. Without taking much time, without much difficulty, it is easy to actualize wisdom."